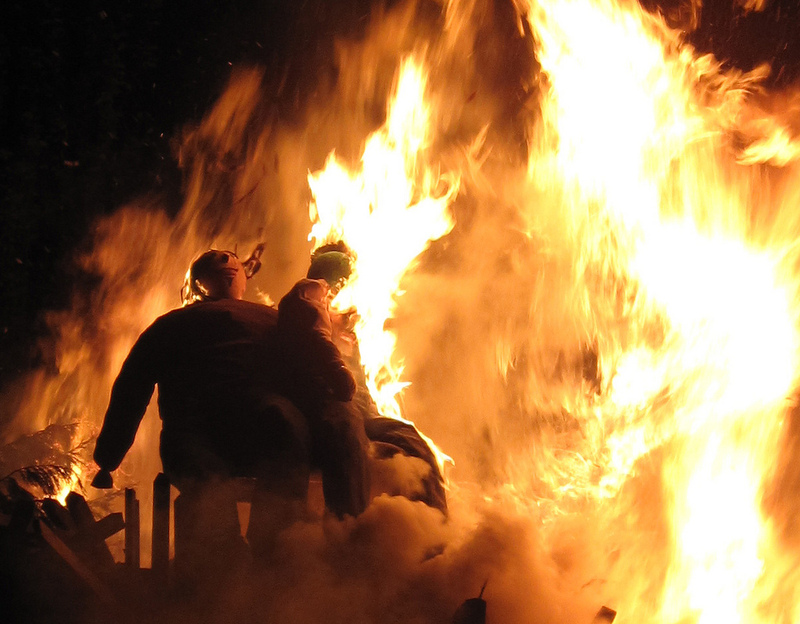 Stay safe during Halloween and Bonfire Night! With Halloween and Bonfire Night just around the corner, and the evenings getting longer and colder, the borough of Kensington and Chelsea have begun their seasonal crackdown on anti social behaviour. Officers across the borough have already distributed thousands of leaflets and posters to residents in the borough designed to promote responsible trick or treating. The posters display a ‘no trick or treat’ sign to be stuck in the windows of properties in the run up to the festivities. Superintendent Simon Rose, head of Operations, said: “In Kensington and Chelsea we are encouraging responsible ‘trick or treating’, which allows people who wish to take part in the celebrations to do so in a safe and respectful manner, whilst respecting the privacy of residents who do not and preserving the safety and well-being of the more vulnerable members of our community. Safer neighbourhood officers are continuing to patrol at key times across the borough, at transport hubs and visiting schools to discourage criminal activity around this time of year and are working closely with Test Sale operations with Trading Standards to monitor the sale of fireworks, alcohol and over the counter weapons. Screening arches will also be in place around the borough as well as metal detection wands as part of a system to deter the carriage of weapons. 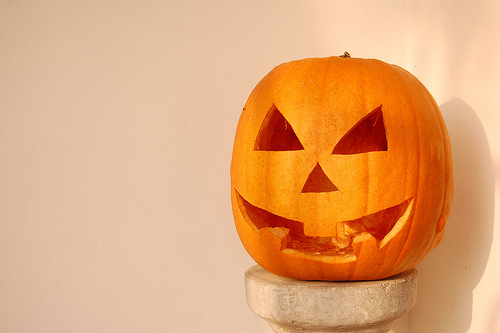 Halloween and Bonfire night are ideal opportunites for criminal activites with the use of costumes to conceal a weapon and people willingly opening their front doors without checking first who is visiting them. Commander Christine Jones from the Met’s Territorial Policing Command Centre said: “We are here for London and to help make sure that everyone can enjoy the festivities and stay safe. The Met are encouraging people to contact their local Safer Neighbourhood team for more information or guidance. In an emergency dial 999. Michael Sammie, 44, of Swaythling Close, N18, has been imprisoned for five and a half years. Between February and May this year he stole from six homes in the South Kensington and Barnet areas between February and May of this year, Wood Green Crown Court heard. Sammie posed as a member of a gas or electricity company to gain entry into vulnerable people’s homes. Many of his victims had health or mobility problems. He pretended to befriend the elderly to gain entry into their houses. Once inside the property he asked his victims to go to other rooms to turn on switches while he pretended to test light fittings. When the victim left the room, he stole cash, bank and pension cards, valuables and jewellery. Officer in the case Davina Cullen said,“This man has a long history of offending. Sammie appears plausible and charming, but in truth he is a ruthless predator of the elderly. He pretends to befriend his victims, but then remorselessly steals their property and savings. The calculated approach to his crimes makes them all the more despicable. One victim, a 77 year old resident of Finchley, said “Firstly may I pay tribute to the police; if they had not acted so promptly they would never have recovered my jewellery. He stole my grandfather’s signet ring and my mother wedding ring and it meant so much to get these back, it’s not the cost but it’s the sentimental value. Police are looking for witnesses after a man was stabbed in Ladbroke Grove, on the fringe of the Notting Hill Carnival, yesterday. Photographs of the scene show the 20-yr-old victim lying on the ground bleeding through his shirt whilst another man, wearing a hoodie, runs from the scene with what appears to be a knife in his hand. One witness tried to trip the man shown in the photograph as he ran away but unfortunately failed. Ambulance crews attending the scene found the victim suffering stab wounds to the abdomen and hand. He was taken to a central London hospital where his condition is described as serious but stable. Detectives investigating the circumstances arrested four men – three aged 20 and one aged 21 – and one 16-yr-old child in connection with the stabbing. They remain in custody at various London police stations. The rest of the carnival passed relatively peacefully. Police made a total of 245 arrests during the two-day event, slightly up on last year’s 243 arrests. Following the revelation that thousands of extra police constables will remain in London during the August Bank Holiday, police confirmed yesterday exactly how many officers will be on the streets during the Notting Hill Carnival. “At Notting Hill specifically we will have a total of 5,500 officers on duty on Sunday and 6,500 on duty on Monday. But in addition to that we will have over 4,000 additional officers on duty across London as well as the thousands who are normally on duty over a weekend,” said Commander Steve Rodhouse yesterday. This year’s carnival will officially end at 7pm on both Sunday and Monday, with local pubs and other businesses having been asked to close between 7pm and 9pm. A heavier than normal police presence at this year’s carnival seems to have been influenced by the London-wide riots of a few weeks ago. Police are also worried about gang activity erupting around the capital during the carnival period. Thirty five arrests have already been made as part of a proactive attempt to crack down on potential troublemakers. Metal detectors, automatic numberplate recognition devices, stop-and-search tactics and specialist officers will all be used to reduce the risk of violence. Scotland Yard has said that it will deploy thousands more constables to the Notting Hill Carnival than it ordinarily would, following the riots across London two weeks ago. 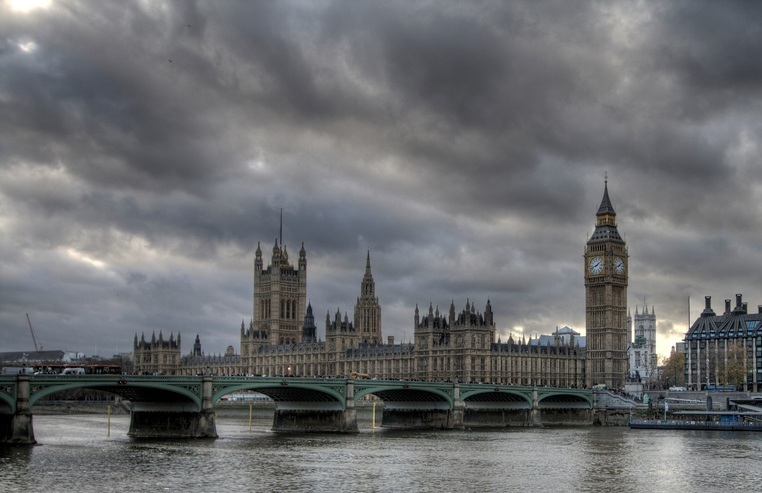 Senior Metropolitan Police officers have indicated that they are retaining constables from non-London forces who were deployed to the capital a fortnight ago. It appears that senior police officers fear a repeat of the widespread looting and destruction that occurred a fortnight ago. About 16,000 police officers, including constables from forces as far afield as Wales, were deployed in the capital after riots which started in Tottenham spread across north, east and south London. Whilst the final decision on police numbers will be made closer to the day, according to a Scotland Yard spokesman, it is highly likely that such a high profile public event will attract an increased police presence immediately following widespread rioting. The decision is likely to be taken on Thursday after senior police officers meet with local councillors from Kensington and Chelsea. The Notting Hill Carnival has been running for 47 years. 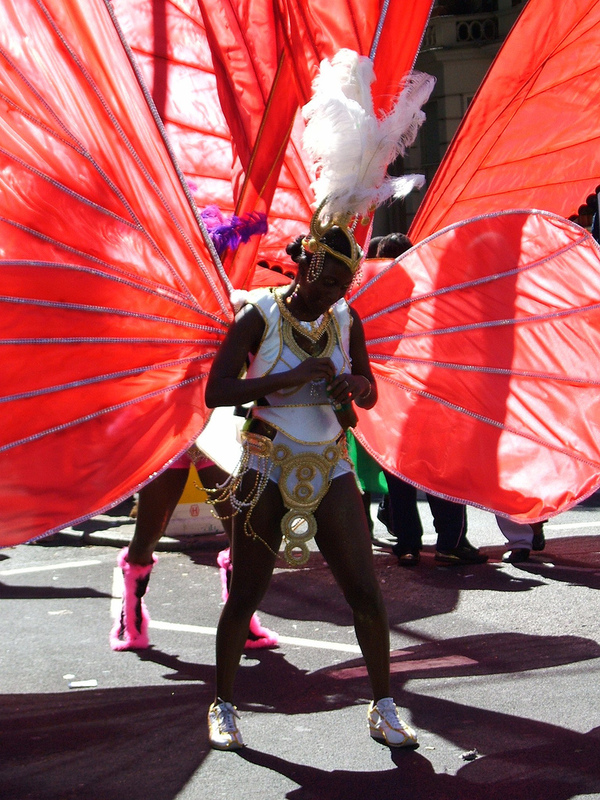 Originally started by West Indian immigrants to the Notting Hill area as a celebration of their home culture, the event has expanded to include all Caribbean cultures and attracts millions of visitors every year. This year’s carnival, which takes place between Sunday 28th August and Monday 29th August (which is a bank holiday) is scheduled to finish at 7pm each day. This is earlier than normal due to police fears of potential troublemakers using the carnival as cover to cause trouble. Mainstream media reports over the last few years have primarily associated the carnival with anti-social behaviour. Similar reports have quoted local residents demanding the carnival be moved to Hyde Park or a similar large public space, which in their view would be better suited to handling the huge numbers of people who attend the event. 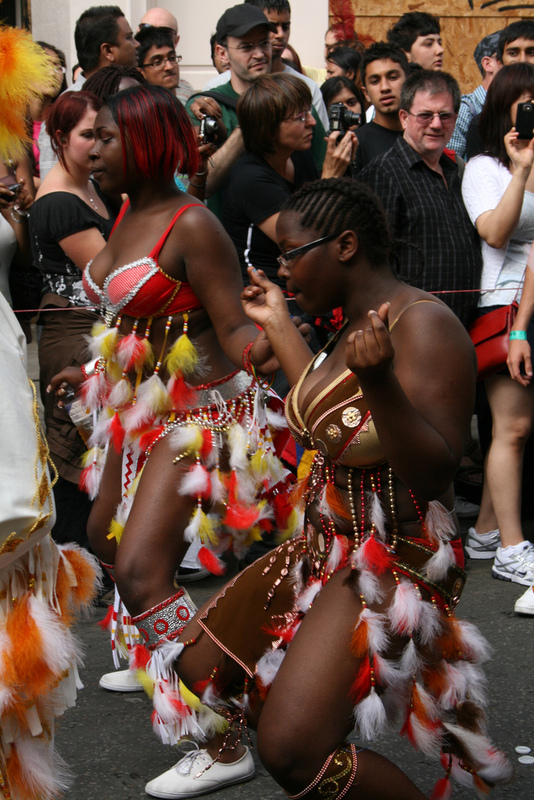 Other articles promote the carnival’s positive cultural aspects, including the traditional Caribbean steel drum bands and the large variety of Caribbean food on offer.